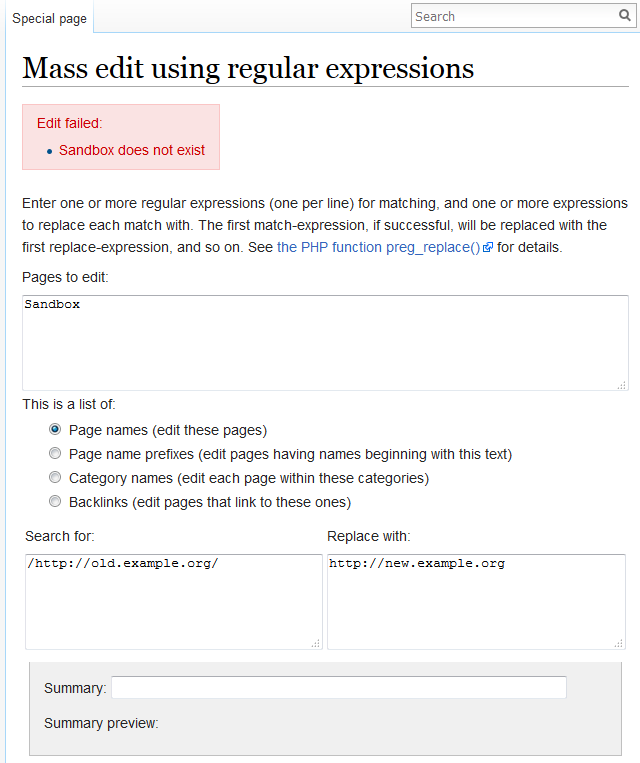 Currently, when the regular expression in the "Search For" field contains an error, the error message states that all of the pages to edit can not be found. (even though the page exists). 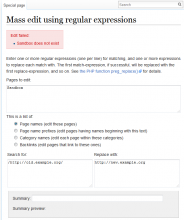 It doesn't matter how many other correct regular expressions there are, as soon as one of them has an error, all of the listed pages are listed as non existing.